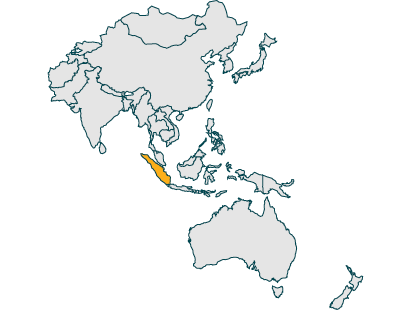 Sumatra is a large Indonesian island which is known for its tropical climate, diverse wildlife and spectacular volcanos. It is home to just over 50 million people and is a part of the Sunda Islands. Mandheling is Indonesia’s largest coffee growing region. Many of the islands in Indonesia were formed by the fusing of several volcanoes. These volcanic soils offer a high nutrient soil which is ideal for growing great coffee. This is a glorious single origin coffee, with a complex array of flavours that combine to produce an outstanding, strong cup. With a heavy, syrupy body there is a sweet chocolate hint that comes through the earthy rich notes. This coffee is perfect black to showcase the herby aroma, however try in the morning through a stove top for a real eye-opener! In 1696 the Malabar governor sent an Arabica coffee bean to the governor of Jakarta. However, flooding caused the growth of this seed to fail. The second shipment in 1699 was a success and this was how coffee was introduced to Indonesia. The plants flourished and the first export from Indonesia was in 1711. In 1850 Arabica coffee was planted in many areas across Indonesia, with Sumatra being one of them. By the 1920s Robusta beans had also been introduced to this region. These beans are wet hulled, which can also be known as the dry or natural process. This is where the skin of the cherry is removed immediately after harvesting. They are then placed in woven bags overnight to ferment. The next day they are washed and dried. The beans can go through at least 3 drying processes. 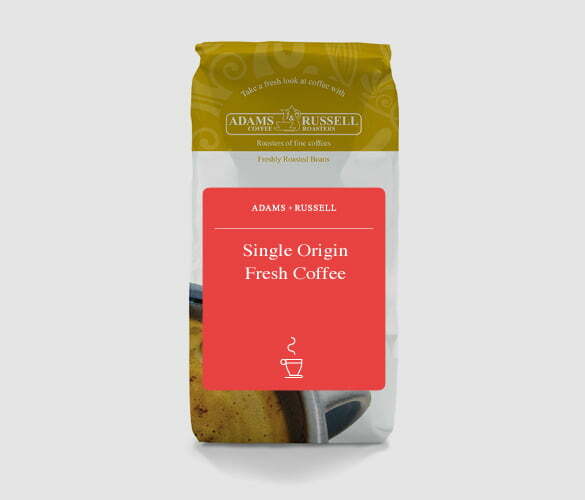 These beans are medium roasted in small batches and then hand packed, and are always available fresh from Adams and Russell. The beans are flame roasted in a perforated drum allowing the flame to come into direct contact with the beans – the best way to roast! You can enjoy this intense European classic blend with milk to mellow the flavours or go bold and have a double shot! Just opened a kilo of these beans. Tried an Americano, yum very nice indeed, the flavour description is fairly accurate. When my coffee arrives from A&R it’s always a tough decision which bag to open first! This time I went for the Sumatra Mandheling, a new one for me. As usual I wasn’t disappointed. Very smooth and chocolately with just the right amount of spice to balance it. Great coffee.